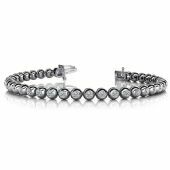 Our 14K White Gold Round Brilliant Bezel Set Diamond Tennis Bracelet gives the option in designing one of your own. Ranging between 38-54 Round Brilliant Diamonds. 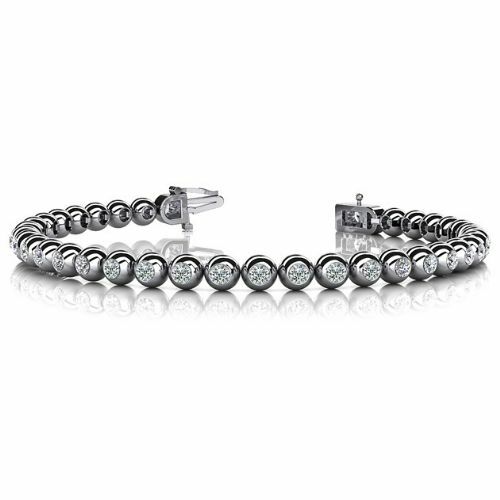 Each diamond is set in a Bezel setting, expressing the wearer’s confident attitude!